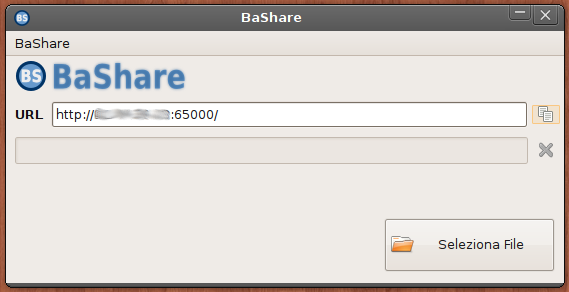 BaShare (Basic Share) is a very simply and user-friendly file sharing tool over the Internet and private LAN too. Basically BaShare is a http server with a graphical user interface (GUI). Select a file, give the link to your friends and they will be able to download the file from you speedily (or not, as you wish :-) ) BaShare is very useful during chat sessions! It is written in GAMBAS an amazing Visual Basic-like language for GNU/Linux. 5.qt and gtk, no problem!